Students on a budget can ditch Market Central for the week and try out a new restaurant on Forbes or Fifth Avenue for a discounted price instead. Oakland Restaurant Week — which takes place from Monday, Jan. 29, to Saturday, Feb. 3 — is hosted and funded by the Oakland Business Improvement District twice each year with the help of Sustainable Pittsburgh. 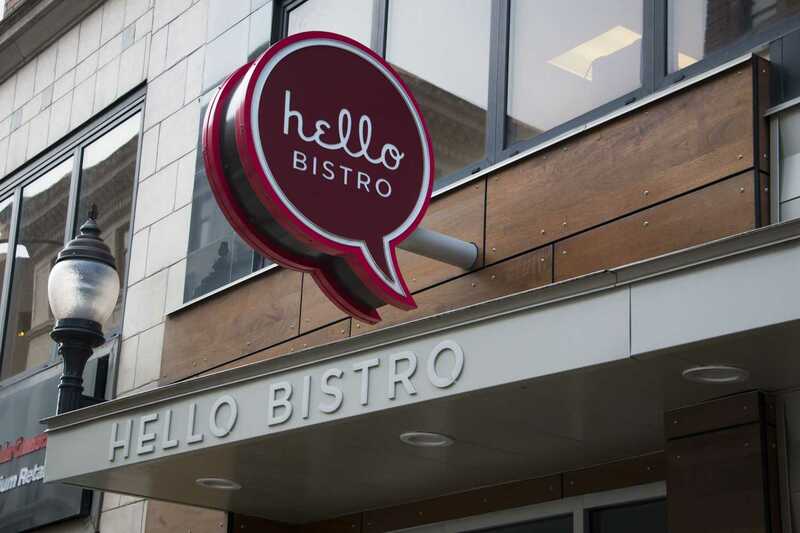 This week’s event hosts six days of $6 lunches at a total of 19 participating restaurants — including popular campus spots like Thai Hana, Hello Bistro, Noodles & Company, Prince of India and Sorrento’s Pizza. David Pirozzi, OBID marketing and communications intern, was responsible for recruiting participating restaurants in Oakland by visiting them in person and explaining how the event would function. OBID has organized Restaurant Week in Oakland for several years, according to Pirozzi, though more recently the organization has been striving to make it effective for both restaurants and retail stores — encouraging traffic throughout the entire Oakland community. Customers eating at the various restaurants will have the opportunity to enter to win free lunch for a month. At each participating location, the purchase of a $6 meal item earns the customer a card — once filled out, this card requires customers to go to designated drop-off retail locations in hopes of winning grab-bag prizes. Rebecca Bykoski, Sustainable Pittsburgh Restaurant program manager, has worked with OBID through a community partnership to create a wide variety of compatible restaurants using environmental practices that benefit the community. Sustainable Pittsburgh works with businesses to implement programs that promote sustainability — recently expanding their focus to communities like Oakland with the help of OBID. “[OBID] really help us to get these restaurants involved with the program to help improve what they’re doing, to recognize them in the Oakland community and help improve sustainability of Oakland overall through their restaurant industry,” Bykoski said. According to Bykoski, one of these programs included the themed kickoff of Oakland Restaurant Week as ‘Meatless Monday’ — the result of a collective collaboration between Lotsa Stone Fired Pizza, Top Shabu-Shabu & Lounge and Stack’d Oakland. Michael McDermott, a junior pre-pharmacy student at Pitt, took advantage of the discounted lunch deal at Noodles and Company, ordering the penne rosa with a side Thai chicken soup. “It’s nice to have a more affordable lunch, and it gives me a reason to not have to make food at home,” McDermott said. While McDermott said he typically dines out for lunch several times a week, Raaj Yaadhav, another patron of Oakland Restaurant Week, said he made the journey from CMU solely because of the $6 lunches. Yaadhav, who is currently working on his master’s degree in computer science, ordered the veggie Pizza at Lotsa.